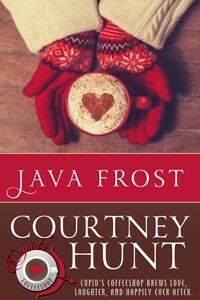 Java Frost is the first in Courtney Hunt's Cupid's Coffeeshop series. Every month features a new novella and a new happily ever after. And Java Frost is a great start to the series! The book opens with Joe, Patrick, and Zooey, who have recently inherited the coffee shop from their recently passed grandmother as part of a unique provision. They have one year to work together to make it a success. But even though the story opens on the three of them, and although they are sprinkled throughout the story, the story's focus is really on Amy and Ben and Ben's daughter Livvy. 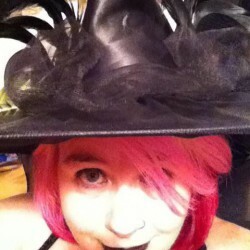 Amy is a fun-loving woman that is full of life. She is also one of Livvy's preschool teachers and Livvy adores her. But Ben is a different kind of guy. He loves his daughter, but his world is science. He wants to connect to Livvy, to make her laugh and giggle, but just doesn't know how. Ben and Amy couldn't be more different people and that's what makes the story work. What also made the story work for me was Ben's obvious devotion to his little girl. I love seeing that kind of father portrayed in fiction, especially romantic fiction. Overall This is a quick read, but one I really liked. Sometimes the love theme doesn't work in a novella, becoming too instalove for my taste. But I didn't feel like this was the case with Java Frost. Yes, it was fast, but somehow it just fit with the different personalities. Right time, right place! And with just enough steaminess to keep it real. I definitely recommend this one for anyone who is looking for a quick bite with an HEA!